← The Kristin & Normandie Edition! There’s something about that Carson Ellis. She turns me into a fan girl in about .4 seconds flat of coming into sight of her work. Those detailed lines, her tasteful use of color and gorgeous patterns. Mmm! Scrumptious! 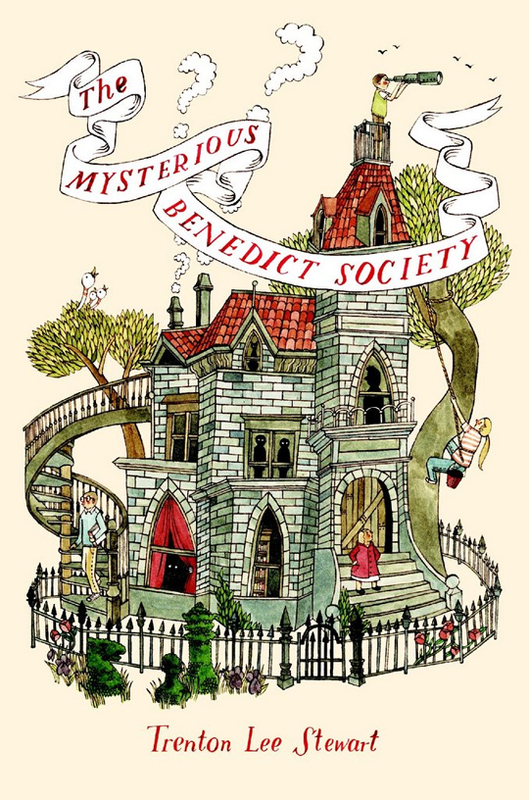 I think I discovered her when I started reading the ‘Mysterious Benedict Society’ series by Trenton Lee Stewart (which is a brilliant series by the way and I highly recommend it). There’s just something so beautiful about the way she uses a fluid medium in such a tight and controlled way. I believe it is because of her work that I started buying smaller brushes and using up more and more of my gouache paint! 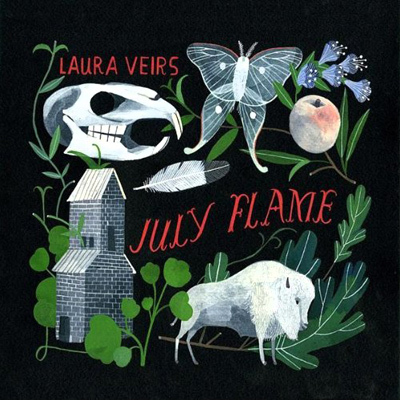 I realized later that I already had seen her work on this album cover. Another great find on the free Itunes single of the week. I think that’s another thing I like about this gal. She has great taste in music! 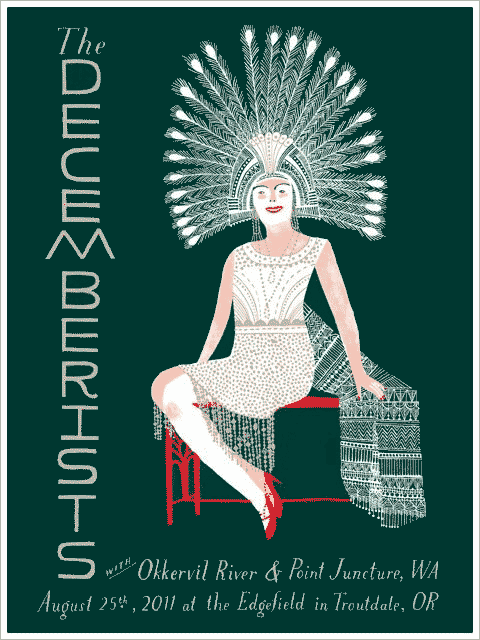 She is married to Colin Meloy of the Decemberists, which has somewhat influenced her work : ) I’ve been seriously thinking about buying this poster. Look at those peacock feathers! 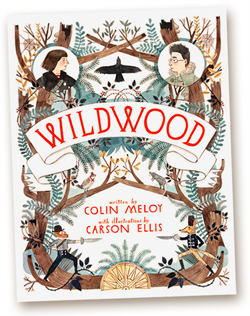 Colin and Carson’s latest project has been collaborating on their ‘Wildwood’ series. The story takes place in their hometown, Portland, OR. I decided that there was no better way to appreciate the project than by buying my copy at Powell’s Books on my trip to Oregon last summer! It’s a good one! I’m so excited for Laika studios to turn this book into a stop motion film! Also, I love love love her typography. Goodness, it’s all just to die for! 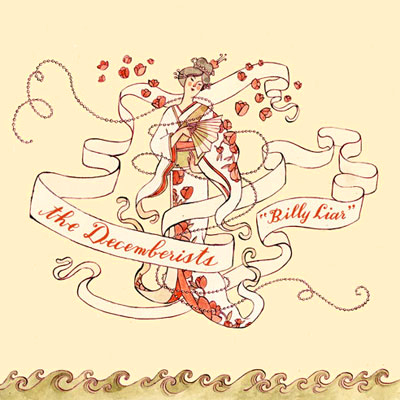 This entry was tagged Carson Ellis, Colin Meloy, Illustration, Laika, Line detail, Mysterious Benedict Society, OR, Oregon, Peacock Feathers, Portland, The Decemberists, typography, Wildwood. Bookmark the permalink.